In a lot of ways, trends are feedback. Whether it’s Beanie Babies or Bitcoin, they offer us a window into what large segments of the population like, what they hate, and how they like to be engaged. To stay relevant to your audience, you have to pay attention to trends. When the year starts to wind down, it’s an opportune moment to look back on the past year and see which trends stuck out. Further, it’s the perfect time to analyze how these trends will carry into the next year and how they could influence other, future trends. Each person was asked what they noticed in their area of expertise for 2017, and how they see it influencing the future. Below, we dig into the exciting answers they provided and what your organization should consider paying attention to. Recurring giving ranked highest on the list of nonprofit trends we saw take center stage in 2017. Further, it’s a trend we saw carry over into multiple departments at Classy. Scot Chisholm, CEO and cofounder, noticed that “donor-advised funds (DAF) grew in 2017 after they were already up in popularity 18 percent from 2014 to 2016.” An easy way to think about a DAF is like a charitable savings account. Donors can contribute to a DAF as often as they like, and then can recommend grants to their favorite charity which pull from the account. Donors are attracted to DAFs because it feels more like an investment than a donation. He also sees the increased popularity around DAFs contributing to the conversation around recurring giving and donor retention. Specifically, he cites these as the “elephant in the room” for nonprofits. Like Scot, Tim Gumto—Classy’s technical data manager—saw an emphasis on recurring giving as it relates to the value organizations provide their supporters through recurring giving programs. A big part of what Tim brings up here is directly related to how product design manager Terry Breschi views recurring giving trends. He sees it through the lens of design, and how organizations are optimizing their campaigns to encourage monthly giving. Another one of the biggest nonprofit trends we witnessed in 2017 was a renewed focus on social impact transparency. As our Chief Impact Officer and cofounder Pat Walsh is fond of saying, nonprofits exist to solve problems, and it’s very important for them to showcase their impact. For example, last month during Giving Tuesday we saw some of the top leaders in the sector—Charity Navigator, Guidestar, Global Giving, and Classy—collaborate in an effort to showcase the impact of thousands of nonprofits. In 2017, VP of Marketing Erin Stender saw the world of marketing focus heavily on the delivery of personalized content. This forced marketers to examine their process: they had to choose the right message, at the right time, and across the right medium to engage customers and prospects. Looking ahead to the future, Erin can’t ignore the additional dimensions that might directly impact this personalized approach to marketing. As she says, it won’t be enough to just send personalized marketing materials—you’ll have to go a few steps further. Our visual design manager Stacey Uy tends to ignore smaller design trends like “serif fonts” or “pastel colors” because they don’t add much value to the industry as a whole. Instead, she encourages her team to dig into the collaboration across the design community, and how it fuels a future of inclusive design. To her, the recognition that the design community is growing together and can learn from each other will only push design further. For example, she sees 2018 as a time when inclusive design becomes more normalized. To her, organizations like Hack the Hood and Girls Who Code are leaders who incorporate more diverse voices into the technology field. However, they’re also strong examples for how designers might bring those voices into their own work. Software engineer Cris Noble notes that optimizing for speed has long been a goal for web developers, but in 2017 he saw it evolve to a new level of efficiency. It becomes doubly important when you factor in new international fundraising markets popping up across the globe. Additionally, there are many other benefits for static pages, like inlined css. This reduces the amount of files the browser has to download prior to displaying your web page, which leads to faster load times. In 2017, our data insights team started translating their analyses into blog content for our audience. While they aim to continue producing quality data blog posts, the team is also committed to helping organizations with the data they uncover. Page Piccinini, PhD and data scientist notes that while data science as a field is still finding its footing in the nonprofit world, it’s not restricting our work at Classy. 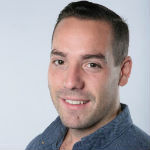 Manager of the Data Insights team Dr. Ben Cipollini sees the newly released Classy Manager as a channel to provide this help. Specifically, it’s a place where the team can begin embedding critical data tools for our clients as we move into the future. Nonprofits have begun to take advantage of tools like Facebook Ads and Google Ads to promote their events to targeted audiences, and then use analytics platforms to calculate their return on said events. Beyond that, lead product manager Matt Lackey sees organizations getting creative with the way they plan and host these events. Further, Matt tells that this is a huge benefit from the operations side of things as well. It’s hard for one team to run multiple events a year, but with a full roster of volunteers around the country it opens the doors to hosting markedly more events. Classy’s customer support team touches almost all parts of our company and the nonprofit industry as a whole. As such, director of customer success and cofounder Marshall Peden is committed to restructuring his team in the coming year to align more with internal departments at Classy, specifically engineering. As he says, this internal alignment will help the team provide a more focused support experience externally to our nonprofit clients. Technology is constantly evolving and our platform is no different. 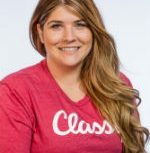 Product manager Shanna Birky has spent over a year replatforming Classy, moving from old code onto new code. This effort allows us to iterate and release much quicker, giving our clients better to tools to become more successful in their fundraising efforts. The release of the new Classy Manager is an opportunity for us to empower all our users to be more efficient and effective in managing their fundraising efforts on Classy. For example, clients can get a 360-degree view of a single supporter and the specific impact that individual has had on their organization. At Classy, we’re committed to mobilizing and empowering the world for good. And having the privilege to work alongside thousands of dedicated nonprofit clients affords us a front-row seat from which to observe the nonprofit sector. One of the ways we can fulfill our mission is by maintaining a pulse on what’s happening in the nonprofit world and incorporating that into our philosophy and product. By outlining what nonprofit trends we saw in 2017, and how we think they’ll impact the future, we hope you too can build a more targeted and informed strategy. If you’d like to outline your strategy today, reach out below and talk with us.